For the latest installment of Diversity Solutions, I'm excited to bring to you author Lamar Giles! The issue of diversity in kid lit has been all over the media recently, including in the New York Times, CNN.com, and Entertainment Weekly. Here, we focus on how we can achieve the change we need. 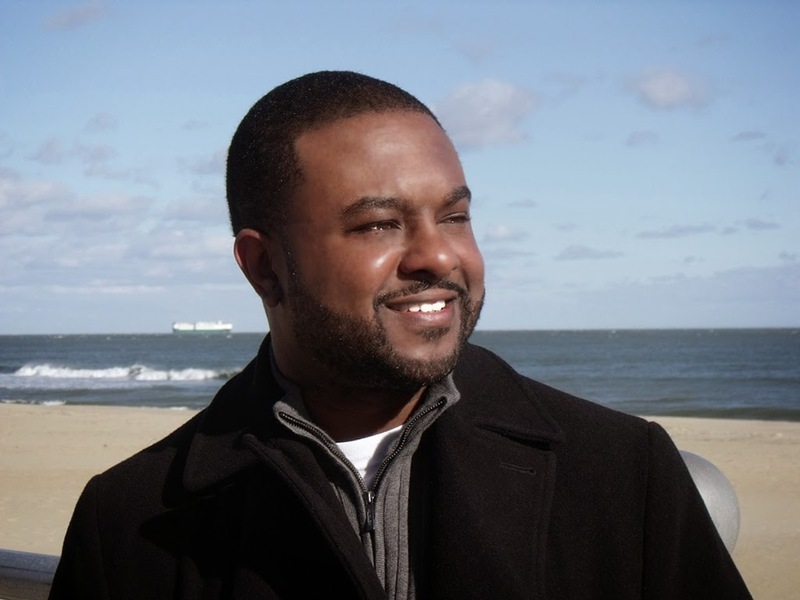 Lamar Giles is the author of Fake ID, a YA thriller about a teen in the witness protection program. Writing as L.R. Giles, he has also penned Serpent & Stallion, Live Again, and The Shadows Gallery. Hi Lamar! Thank you so much for joining us and speaking up on the issues of diversity in publishing today! First, can you tell us a little bit about FAKE ID and what inspired your character, Nick? 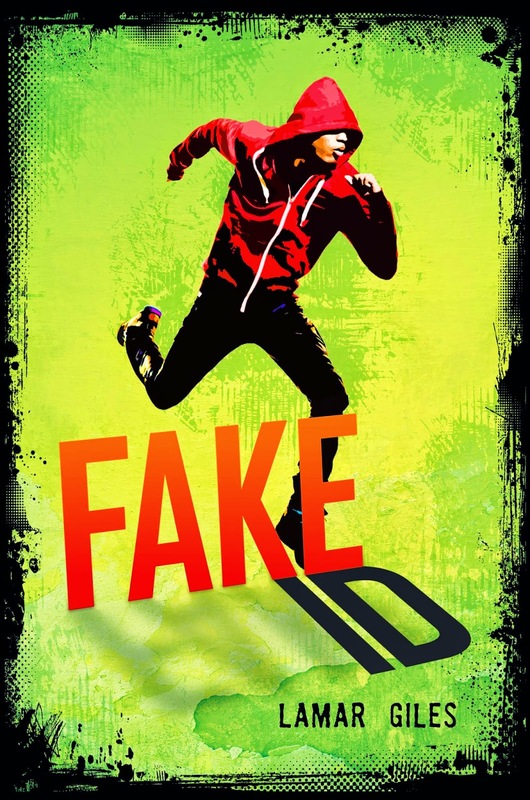 FAKE ID is the story of Nick Pearson (not his real name) whose family is in Witness Protection. He moves to his fourth town in four years, and makes one friend, Eli Cruz, who dies under mysterious circumstances. When Nick looks into the death, he uncovers a dark conspiracy that leads back to his own, often shady, father. So many people take for granted the power of having incredible heroes who look like them. I wanted to give that gift to some kids who aren’t so fortunate. However, the issue keeps coming up. In recent weeks, I’ve seen at least two major entertainment outlets address the lack of diversity in YA. So, it’s not a matter of ignorance. The whole industry has been put on notice. Going forward, I think the questions we need to ask publishers are: 1) Who are the people in power that care about changing the dismal diversity numbers? 2) What proactive measures are they willing to take to initiate the change? 3) What quantifiable differences are they shooting for? I say “they” because I’m not a decision maker. I do have thoughts on this, though, and would be happy to have a discussion with any decision maker who wants to chat. It’s hard to get published. Period. Think of all the publishing lore around acclaimed books that initially got passed on for some reason or another. It’s the whole “J.K. Rowling got rejected a dozen times before someone bought Harry Potter.” I wouldn’t want to diminish or inflate any individual’s publishing experience based on where they’re situated within the diversity spectrum. What gets published is often based on subjective reasoning. Does an agent/editor like the book? If so, great. If not, why? The reasons are going to vary book to book and no one is going to admit they rejected something because the main character was non-white, or gay, or disabled, etc. The numbers from the Lee & Low post suggest SOMETHING is going on, but it seems almost impossible to determine if a diverse character hurts a book’s chance as much as a pacing problem, or an info dump in the first chapter. Here’s what we do know about publishing acquisitions. It’s not enough for a book to be good; it also has to be wanted. Again, thinking of Harry Potter, one of the greatest book series ever, and a bunch of people who “know” publishing wanted nothing to do with the boy wizard. Some bold person with a contradictory belief had to get it, want it, and push it through. My own publishing experience was one of those multi-rejection ones. FAKE ID took nine months to sell, despite receiving praise from nearly every editor who read it. I did wonder if Nick being a black male scared editors away, but no one said that to me. One editor admitted they didn’t feel there was a market for a teen thriller with a male lead. No one ever mentioned Nick’s race. In a way, it made his race (and mine) feel like the elephant in the room. But I recognize that sensation was internal, no one openly discriminated against me. The editor who eventually acquired FAKE ID (and my next book, ENDANGERED) happens to be Asian-American, a member of another group that has very little representation in the YA space. She has since moved on to a different house, and my new editorial team has been very supportive of who I am and the characters I write. However, if not for that one decision maker seeing the value in my work, and wanting to move forward with me, you and I wouldn’t be having this discussion now. Make of it what you will. 1) Consider starting diversity development programs like the major television networks. Not just for writing. But for editing, and marketing, and book design. IF there is someone in power who cares about this issue, then let’s talk about this. As I alluded to in my previous answer, more diverse decision makers would probably lead to more diverse acquisitions. With more diverse books on the market, there’s increased likelihood that something will hit big. 2) Examine the marketing practices used for books that are expected to do well. Do the same thing for diverse books if you aren’t already. 3) Be honest about your house’s numbers (and whether or not you really care). If diverse acquisitions are low, consider ways to increase those numbers incrementally and annually (the example I always use is a 2%-5% increase each year, arbitrary numbers, but, still, a starting point). And if there’s a problem finding the material through usual channels, consider contests or referrals. The more product, the better the chances for success. 1) Remain vocal. Keep the conversation in the public consciousness, and sing the praises of great diverse titles as you come across them. Sadly, that may be the only marketing some of these excellent titles get. 2) Keep writing. As discouraging as this industry can be, we must keep generating quality material to challenge arguments that diverse books aren’t good/relatable/marketable. 3) Educate peers and readers on the issue. A lot of folks see the desire for more diversity as an attack on writers and characters that are generally the norm. It’s not. Whenever I’ve seen this topic in any major outlets, there’s an immediate—almost violent—pushback from people crying “reverse racism” or accusing anyone who’s passionate about the issue of “playing the race card.” If you encounter this in peers or readers, take an opportunity to enlighten them peacefully. Share numbers and facts like those in the Lee & Low article. Try to take it out of an emotionally charged arena, if possible, so we can all move closer to real change. Thanks so much for your excellent advice, Lamar! It was a pleasure having you on Diversity Solutions. To learn more about Lamar Giles, follow him on his website, blog, twitter, or facebook. Don't miss his fantastic recent post, Diversity in YA: Don't BS the Change! Also, check out the Diversity Solutions interviews with Nathan Bransford, Sherri L. Smith, Stephanie Guerra, Aisha Saeed, Jessica Martinez, and Brandy Colbert!